GM sold about 14,000 fewer vehicles to rental fleets in July and plans to cut more than 60,000 in the second half of the year. DETROIT (Bloomberg) -- General Motors will probably report weaker sales than some key rivals do in July. The largest U.S. automaker said that’s because it’s selling fewer vehicles to rental-car agencies -- not a lack of love in dealer showrooms. GM may report a sales decline or small gain in a month that analysts have predicted to be strong for the U.S. market, said Kurt McNeil, vice president of sales. The big culprit is that July will be the company’s lowest month for sales to rental and corporate fleets so far the year, according to data provided by GM. It’s a strategic move by the company to reverse more than a decade of reliance on deep discounts and rental-car sales to retain market share at the expense of its margins and brand image. 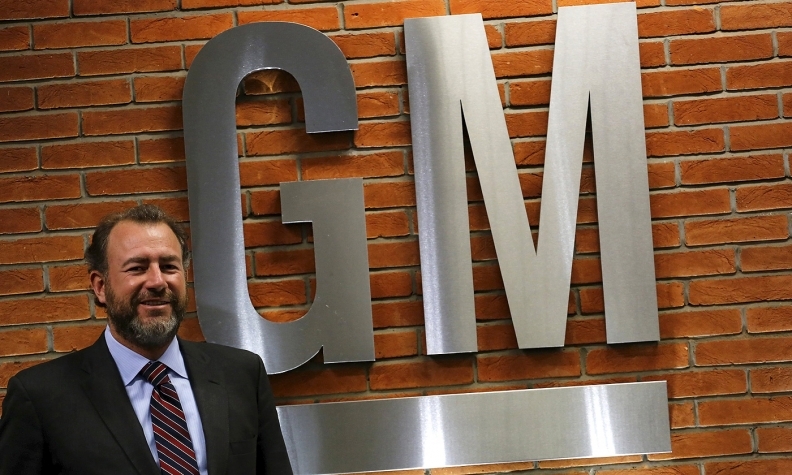 GM President Dan Ammann has been weeding out low-margin activities across the globe as he focuses on profit over sales volume. Sales to rental companies tend to be less profitable than retail deliveries because the high-volume buyers get substantial discounts. Rental-car companies then sell the cars about a year later, which floods the market with models that compete with new cars at dealerships. TrueCar Inc., a website that tracks auto sales and pricing, estimated that light-vehicle sales rose 2.6 percent in July and GM’s fell 1.9 percent. GM is the only automaker that TrueCar projected with a decline. Strong truck sales may lead to a small gain, said Jim Cain, a GM spokesman. GM President Dan Ammann has been weeding out low-margin activities across the globe as he focuses on profit over sales volume. GM sold about 14,000 fewer vehicles to rental fleets in July and plans to cut more than 60,000 in the second half of the year, the company said. About 17 percent of GM’s total sales went to rental, corporate and government customers in July, compared with 20 percent in June and 25 percent in the first half of the year, the company said. GM discontinued its Chevrolet Captiva SUV in April and has cut production of the Impala Limited, which were both sold only to rental agencies. The cut to rental-fleet sales isn’t the only reason GM’s market share slipped to 17.7 percent in the first half from 17.8 percent a year earlier. In the first half of the year, sales of its luxury Cadillac line fell 1.5 percent and its premium Buick brand is down 6.3 percent. Neither brand does a lot of rental business. 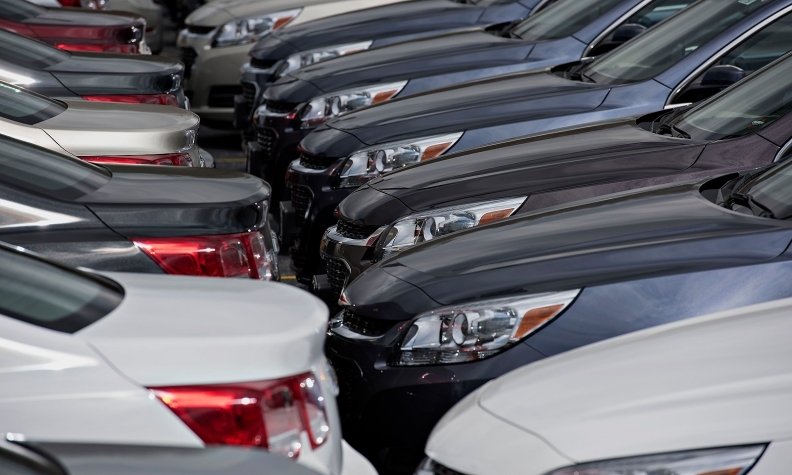 GM can afford to pull back on rental-fleet sales because retail demand has been strong and the company is getting more aggressive with higher-margin sales to government and corporate fleet customers, McNeil said. In the near term, the move away from daily-rental fleets will help profit margins, said Eric Lyman, vice president of industry insights for TrueCar. Long-term, it should boost the perceived value of GM’s vehicles, he said. Sales to corporate and government fleets tend to be profitable and both customers keep the vehicles longer, so they don’t end up in the used-car market, competing with new cars, Lyman said. Turning around GM’s brands will take a long time, he said.